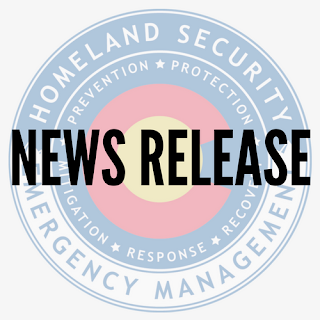 Colorado Emergency Management: NEWS RELEASE: Flood Insurance: Are you Covered? Centennial, Colo. – May 15, 2017 — The Colorado Division of Homeland Security and Emergency Management wants residents to be prepared for potential for flooding. It is a fact that 267 Colorado cities and towns and all of Colorado’s 64 counties have been identified as being at risk for flooding. Colorado’s landscape and ever-changing weather not only creates a beautiful state, but it also creates potentially powerful flood hazard. Have you experienced flood damage to your home or business as a result of Colorado rainstorms? The first step to protecting your property is to meet with your insurance agent to review your policy. Flood damage is covered under a separate flood insurance policy and not under your general policy. Flood insurance is purchased directly from your insurance agent. A list of insurance agents is available on the National Flood Insurance Program (NFIP) website. The most important aspect of flood insurance is to understand when coverage starts and what is not covered by the policy. Secure a flood insurance policy from an insurance agent. Prepare your property to minimize flood damage. Follow the steps suggested by the NFIP to Prepare your House. If you purchase flood insurance in connection with making, increasing, extending, or renewing your mortgage loan, there is no waiting period. The FEMA Individuals and Households Program is not available for assistance unless designated under a major disaster declaration executed by the President. There are restrictions that come with this program as well as the intent to assist with a safe living space, not to return a structure to pre-disaster conditions. The FEMA website states, “The Individuals and Households Program (IHP) provides financial help or direct services to those who have necessary expenses and serious needs if they are unable to meet the needs through other means. Want more tips and ideas? Head over to our website at www.READYColorado.com and read the full blog post, or follow us all week on our social media accounts for new posts on the Flood Insurance What is Covered topic.